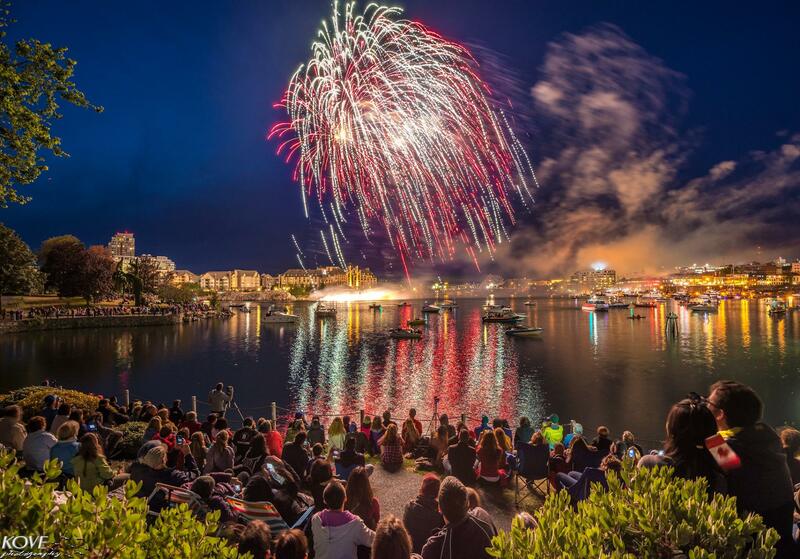 Being the capital city of our province, we take Canada Day festivities pretty seriously over here in Victoria. This year with July 1st falling on a Sunday, the entire weekend will be packed with fun activities for people of all ages. And on Canada Day itself, you can expect to hear live music and see thousands in the downtown core in preparation for the grand finale: the fireworks show. For those outside of downtown the fireworks require some planning. Whether you want to watch them from the parliament building’s lawn or harbour causeway and what time you’ll head down so you can try to find parking are just a few things to consider. When you’re staying at the Victoria Regent there is no planning involved. Our location right on the harbour means you automatically get the best seats for the show, without having to find your place among the other 20,000 people! If you do choose to be part of the crowds, you won’t be stuck in the masses when the celebrations are all done—you can simply slip back into your suite at the Regent. Canada Day is one of the highlights of summer, and we hope you’ll be celebrating with us!